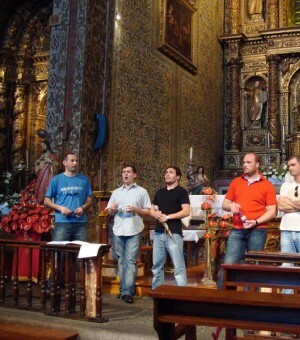 In June 2009 Basiani has visited Madeira Island (Portugal) to participate at Madeira Music Festival in Funchal City. Basiani has departed directly to England from Madeira Island for participating at Aldebourgh Music Festival. The Ensemble has performed on June 24. It also held a concert at Russian Orthodox Church in London.